For other tournaments and Regional Events, go to www.majvb.com. 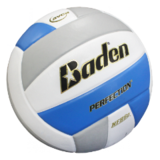 You can find all the Volleyball East Boys AAU tournaments and all the Volleyball East Girls AAU tournaments on this site. To get the schedule of events, click on the links at the top of the page. Each tournament has its own page that lists the teams registered in that tournament as well as the location information. Schedules are posted on the same page the Wednesday night before the weekend of events. For all the general tournament information, click on the information tab. AAU information and registration information can be found there. For Volleyball East tournament questions, you can email Kristin Helm at volleyballeast@comcast.net. There is a new mailing address for the registration forms. Please use the new address to get your entry forms received faster. If you mail them to Volleyball Corner, there could be a delay in receiving the entries. The address is on the bottom of the website and on the new registration forms. To download the forms, click on the link under the boys or girls schedule.